Chen, N. and B.Q. Feng, 2006. An integration customer-driven requirement-refining scheme of business process reengineering. Inform. Technol. J., 5: 1113-1116. Chen, N. and L. Xing, 2010. Research of license plate recognition based on improved BP neural network. Proceedings of the International Conference on Computer Application and System Modeling, October 22-24, 2010, Taiyuan, pp: 482-485. Chen, N. and T. Xue, 2011. A CSCW architecture oriented to textile industry integrating with content-based publish/subscribe system. J. Convergence Inform. Technol., 6: 75-80. Chen, N., 2008. A quick development framework based on process/data relationship model. Proceedings of the International Conference on Computer Science and Information Technology, August 29-Septenber 2, 2008, Singapore, pp: 597-600. Chen, N., 2008. Training ANN for image discrimination based on wavelet. Proceedings of the International Conference on Convergence and Hybrid Information Technology, August 28-30, 2008, Daejeon, pp: 615-617. Chen, N., 2010. Automatic generation of resource access code based on MVC mode. J. Shenyang Univ. Technol., 32: 417-422. Chen, N., B. Feng, H. Wang and H. Zhang, 2009. Automatic authentication using rough set-based technique and fuzzy decision. J. Harbin Inst. Technol., 16: 247-250. Chen, N., B.Q. Feng, H. Wang and H. Zhang, 2005. Hedging uncertainty in rough set-based approach with fuzzy decision. Inform. Technol. J., 4: 387-390. Ning, C. and F. Boqin, 2007. Component constraint detection based on proposition logic. J. Xi'an Jiaotong Univ., 41: 172-175. Wang, J., X. Liao and Z. Yi, 2005. 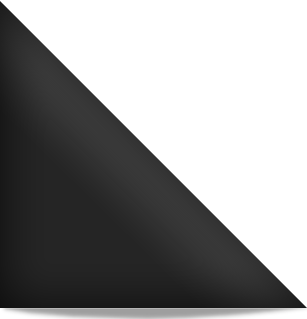 Automatic authentication technique based on supervised ART-2 and polynomial spline pyramid algorithm. Lecture Notes Comput. Sci., 3497: 222-225.